For planting individual plants. Dig a hole twice as wide as the container/rootball. 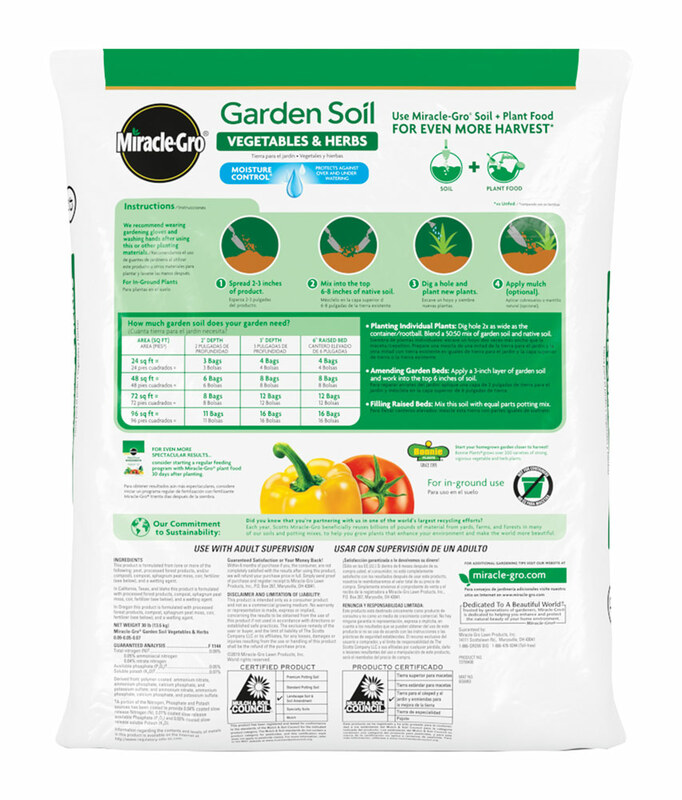 Blend Miracle-Gro® Garden Soil for Vegetables and Herbs soil with your native soil in a 50:50 ratio. For amending beds, apply a 3 inch layer and work into the top 6 inches of your native soil. Plant seeds or live plants following specific package or plant tag instructions. Water thoroughly after planting then daily until plants are well established. Apply when planting vegetables and herbs outdoors (not in containers), or when preparing soil in outdoor gardens and landscape beds. Amend in-ground gardens annually by mixing a 3 inch layer of garden soil into the top 6 inches of native soil. Guaranteed Satisfaction or Your Money Back! Within 6 months of purchase if you, the consumer, are not completely satisfied with the results after using this product, we will refund your purchase price in full. Simply send us proof of purchase and register receipt. To contact us, visit our Help Center. For use with all vegetables. 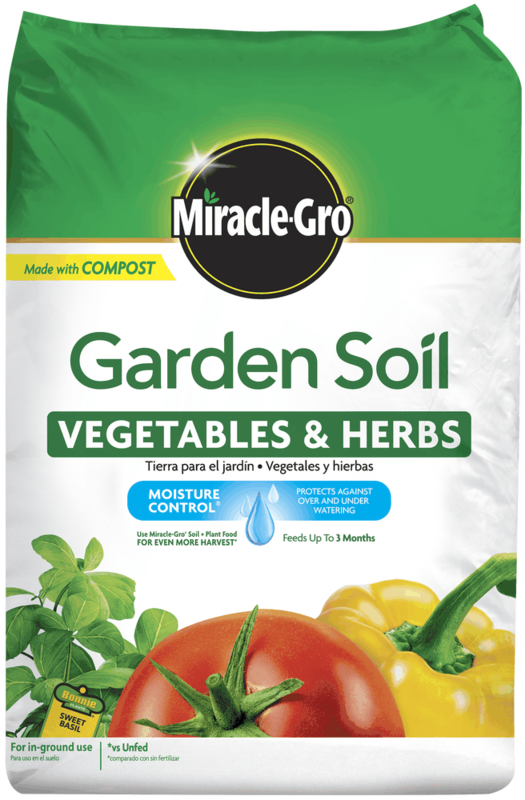 For amending beds, apply a 3 inch layer of Miracle-Gro® Garden Soil for Vegetables and Herbs and work into the top 6 inches of your native soil. For planting seeds, follow the instructions on your plant seed packet. Water thoroughly after planting, then daily until plants are well established.